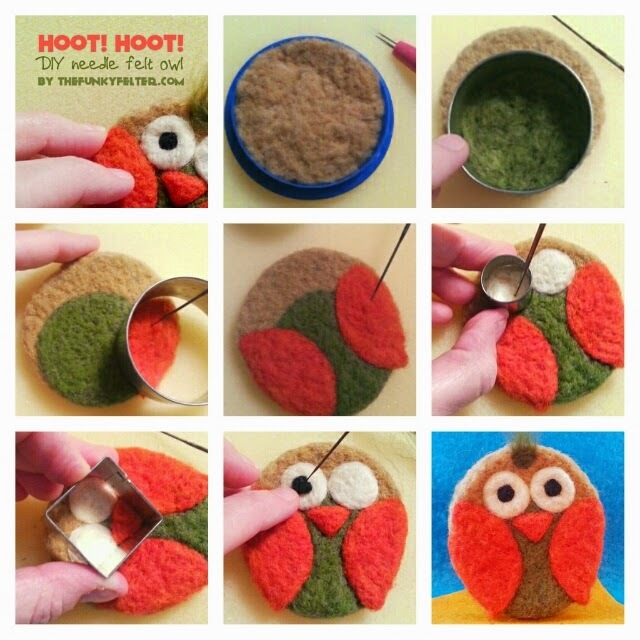 In case you missed out on this cute needle felted owl for Fall last week, please check out the step-by-step photo tutorial here. Happy felting & Happy Autumn! I hope you are enjoying the season so far! Hello, I'm Shalana, a.k.a. the funky felter, a former publishing editor and designer. Felting, crochet, and other fiber arts rock! Want even more printable freebies? Buying Wool Roving and Locks in Bulk and other Fiber Art Supplies at Good Prices! Visit Shalana Frisby's profile on Pinterest. Copyright © 2007-2018 Shalana Frisby. All rights reserved. Content may not be used or reproduced in any form without consent. But sharing and linking to my blog are perfectly acceptable and encouraged... So please do share, share, share and link away! Copyright 2007-2018 Shalana Frisby. All rights reserved. Simple theme. Powered by Blogger.